Africa’s energy crossroads: The market forces, coal and oil, are making way to renewable energies. Africa’s energy landscape is changing, driven by new market imperatives and technological innovations. Vested interests seeking to preserve the dominance of old forms of energy may be resisting, but cannot hold back the tidal force of an evolving energy market place. Coal and oil are becoming dinosaurs, not just because they are literally composed of the remnants of prehistoric plants and animals, but because money is gradually moving toward renewable energies: geothermal, hydropower, solar and wind. Environmental concerns over global warming and climate change play a far lesser role in switching from traditional fuels to alternative energies. Rather, it is the market place. As IOA research has discovered in a survey of major industrialized countries of Eastern and Southern Africa, the factors driving change are the demands of businesses for reliable energy supplies and the need of the majority of Africans who live in rural villages for electricity. Examples illustrating this trend appear weekly. For instance, in late April 2018, the Western Cape Growers Association of South Africa put the country’s state-owned energy monopoly Eskom on notice. The farmers’ bloc stated that if Eskom were to drastically raise prices, which the utility says must be done to dig itself out of a financial pit and raise money to invest in infrastructure upgrades, the growers would source their power elsewhere. Specifically, they are looking to solar power, which their association considers more reliable than Eskom’s sometimes intermittent supply. Due to drought, South Africa’s farmers have suffered significant losses this year, and if drastically higher energy bills must be paid, they feel this should be done not for Eskom’s sake, but to purchase privately-owned solar infrastructure. South Africa is emblematic of the change in energy priorities wrought by market realities that are confounding national leaderships with a vested interest in old forms of energy. Former President Jacob Zuma’s dismissal of renewable energies was based on deals that have been exposed as corrupt, such as a contract for coal to be sold to Eskom from the mine of a now discredited business associate. Zuma insisted that a nuclear energy deal with Russia be maintained as condition to his yielding of power to the current president Cyril Ramaphosa. However, the nuclear deal seems to be going nowhere in the new administration, and coal’s future is uncertain. In March, government signed a landmark deal with 27 independent power producers, all involved in renewable energies, to be the future providers of power to the national grid. Ethiopia depends on hydropower for 80% of its energy needs. However, rural areas not connected to the electricity grid are turning to solar for power. This is also the case in Kenya and other countries. Climate change has lowered the volume of dams that produce electricity in Ethiopia, and alternate energy sources are being considered. In Mozambique, remote and dispersed residents of rural areas must be served by electricity to raise living standards and make their areas contributors to national prosperity. However, the expense of connecting far-flung areas to national grids is still considered economically prohibited. Solar and wind power have proved a solution for single-family homes, small businesses and community centres. 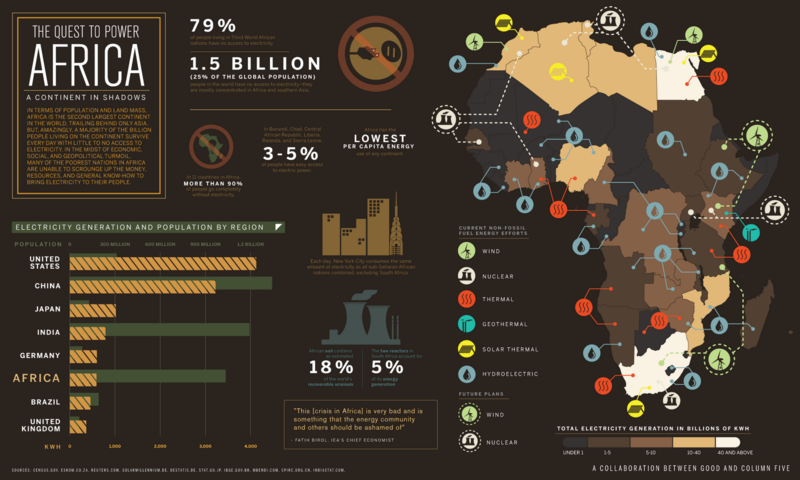 Vested economic interests have made coal and oil the primary energy source for much of Africa. For politicians who financially benefit from exploiting coal and oil, the shift in energy priorities toward clean energy sources comes at a time when national citizenries are demanding more accountability from governments and more anthropocentric developmental policies. Perhaps accurately reading these shifting realities, Angola’s long-ruling autocrat Eduardo dos Santos yielded power last year. Angola’s oil production is Africa’s second largest, but the declining prices paid for the commodity would not be able to prop up the dos Santos regime for long. Africa’s longest-ruling dictator, Equatorial Guinea’s Teodoro Obiang, is similarly seeing the declining value of the oil that has kept him in power for decades. Equatorial Guinea is Africa’s third largest oil producer. 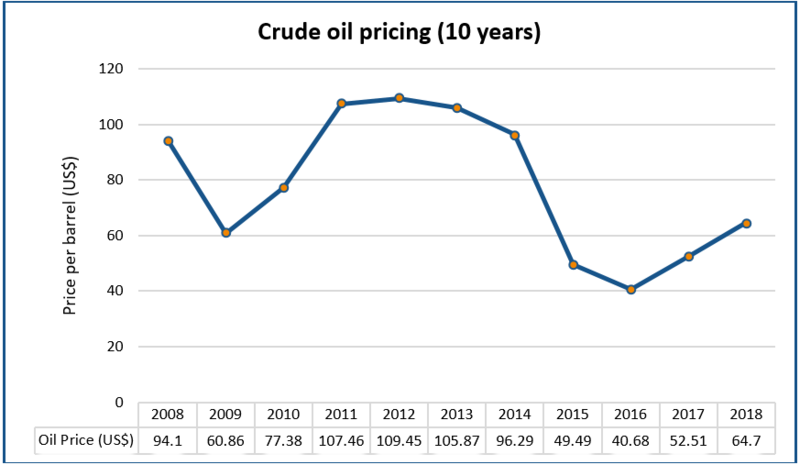 The link between declining oil prices and the strengthening of democracy in Africa is a fascinating political development that corresponds with the rise in alternate energy sources replacing coal. The replacement of dirty fuels with renewable energies is a process, and not a completed goal by any means. Greater government commitment and private sector investment is required to raise the contribution of solar, geothermal and wind to regional electricity grids. Only two countries, Ethiopia and Kenya, currently produce significant amounts of electricity from geothermal production. As more solar and wind farms proliferate, scale of production and use will lower costs. South Africa has recognised that purchasing from independent power producers fulfills a government priority by increasing jobs. The value of the green economy will eventually overwhelm the resistance of politicians whose interests in dirty fuels motivate coal and oil energy production. Although the transformation to clean fuels will not be accomplished this decade, the trend dictated by the all-powerful consumer market is now clearly discernible, and the extinction of dirty fuels, like the dinosaurs that created them, seems a matter of inevitability.